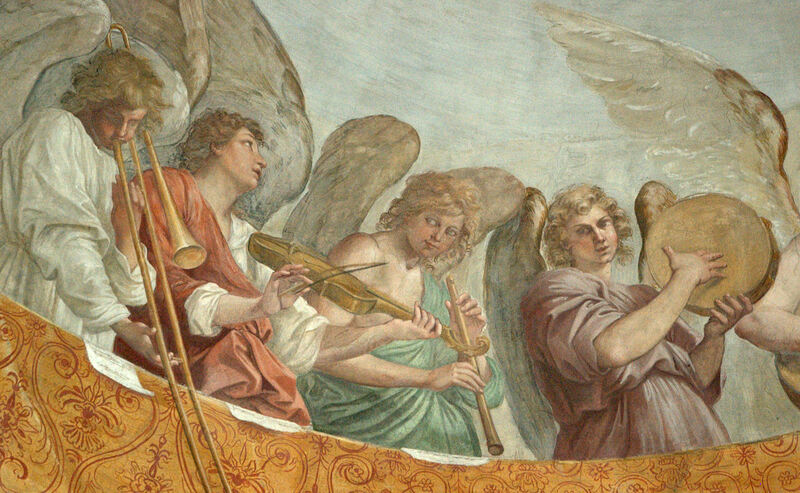 Last week I mentioned that I had posted an article on HubPages, Backward Advances: Rear-Facing Trombones Throughout History, which showed 22 visual examples of these fascinating instruments throughout history. Since then I have updated the article by adding 3 more images, 2 of which are important because they come from the late 19th century (1880 and 1889). 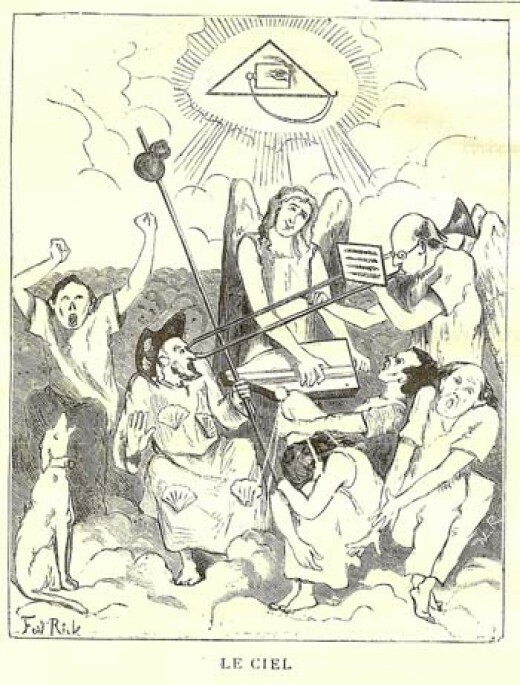 The image from 1880, an odd little picture entitled Le Ciel (Heaven), is shown below. You can see the updated article here.